Systems auditing is one of the most popular IT security areas that many people dream of becoming part of. Preparing for your ISACA Certified Information Systems Auditing (CISA) exam is such a rigorous process. It is considered to be among the toughest IT security exams. That’s why it’s very important that you get the right study resources for your CISA exam. 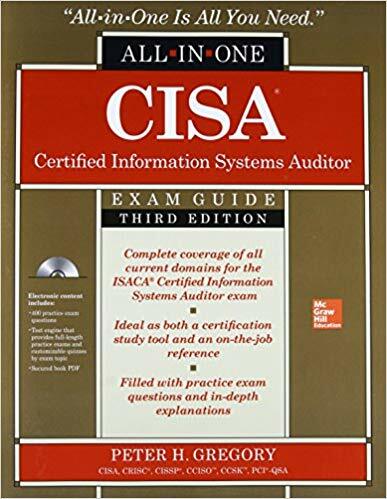 Getting the right CISA training books would be such a great step towards studying and passing your exam. Let’s first take a look at some important information and statistics. Validated CISA graduates are the most sought after systems auditing professionals today. A 2016 survey report by Osterman Research indicates that about 39% of organizations in the US had reported at least one systems security breach over the previous 12 months. The demand for more systems auditors to help in checking and auditing the information systems and networks to detect and mitigate any kind of threats has gone up. Becoming an expert in auditing information systems requires that you go through a thorough training and prep process to pass your exam, and most of all to gain these much needed skills. You would need relevant books to aid you in your study. 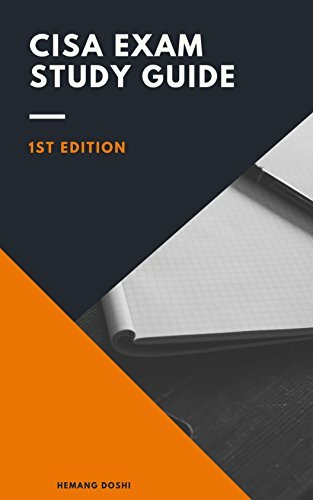 I have made your work easier by compiling a list of the best CISA training books for your exam prep. Let’s check them out right away. This study guide is written by David L. Cannon, a founder and President of one of the best CISA training course providers called CertTest Training Center. This shows why it’s a great book for the top CISA certification. It comes loaded with review questions and real-world audit examples that give you an insight into ways of carrying out expert auditing of systems and providing control measures. The test engine, flashcards and the PDF come in a CD/DVD. The CD/DVD becomes available once you purchase the book. If you want an up-to-date detailed coverage that uses a unique approach, then this is the right CISA prep guide for you. The Sybex approach breaks down content and tasks in a way that covers all the details of the exam areas. This is one of the best CISA exam prep books. It is authored by Peter H. Gregory, a systems security professional with over 30 years of experience in the cybersecurity sphere. He is known to have authored over 40 emerging technology and information security books. 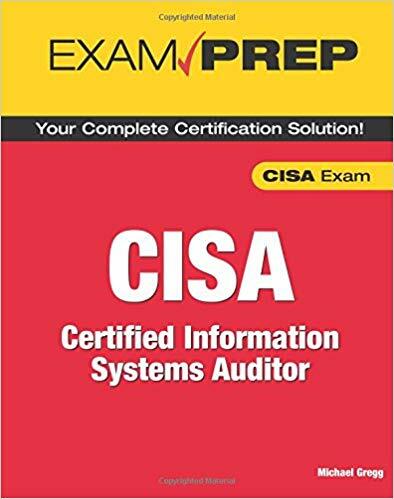 This prep book provides in-depth coverage of each CISA exam topic with detailed explanation of each one of them. It covers all of the five CISA exam domains giving you an opportunity to enrich your knowledge and skills and pass your exam. If you are exploring the Information Systems Audit profession, then this book is good for you. 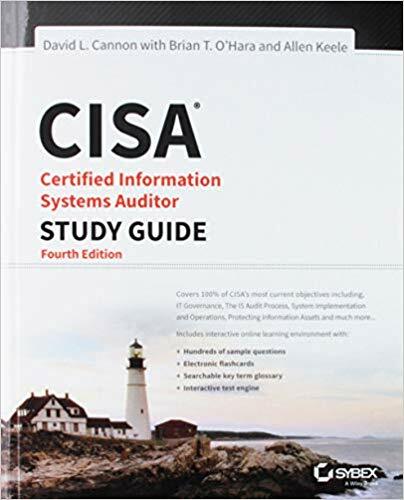 With the in-depth coverage of audit procedures and technologies, this CISA study guide would be your greatest exam aid. The study guide by ISACA is designed to help you learn and understand the CISA exam topics and expected type of questions. 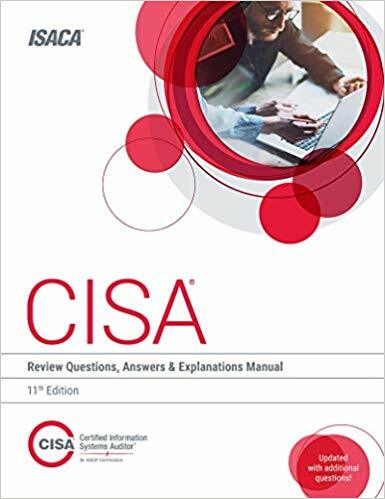 This up to date CISA training book has questions and answers prepared to help you practice and pass your exam. The book is comprehensive and designed to meet the standards of the ISACA. The numerous practice questions appearing in this CISA review manual would definitely provide you with the best material for your exam prep. 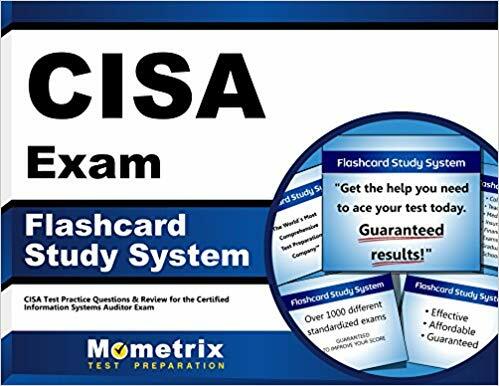 This CISA Flashcard study exam method is good for you if you need an in-depth understanding of responsibilities and roles of an IS auditor. Most importantly, the guide would be a great study companion during your exam prep. Authored by CISA Exam Secrets Test Prep team, this system makes use of repetitive methods that teach you how to solve tough questions on the CISA exam. The easy to learn and digest exam prep method breaks down information and content into small-easy to understand and memorisable bits. If you are looking for an exam study method that is fun, engaging, and fast, away from the boring study books, then you should go for the flashcards. The use of repetitive methods and the easy to digest bits of concepts will make your learning process real fun. This study guide by Hemang Doshi adopts the usage of simple language to explain CISA exam topics and concepts. This means even if you are not a technical person, it would be easy for you to connect with the contents of the book. It is designed based on ISACA official resources to ensure that users get relevant CISA exam content in the right way. If your idea of study involves use of material that adopts a simple language approach and illustrations to bring out the concepts, then you are at home with this book. You have the option of picking it in Kindle or Paperback version, depending on your preference. Considering that CISA is such a challenging exam, you would need to thoroughly prepare for it in order to succeed. 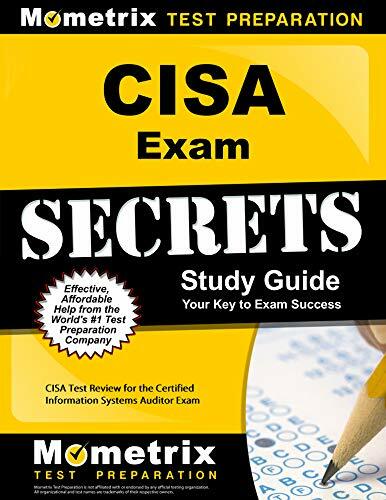 That’s the reason why this CISA Exam Secrets Study Guide was designed. The book is detailed, thorough and covers the exam concept in an easy-to-understand kind of approach. The book by CISA Exam Test Prep Team, explains the concepts and principles in details. Whether you are a beginner or already have some experience in systems auditing, this book would do you wonders. Besides the detailed content coverage, the authors of the book have taken time to take you through tips on how to prepare and pass your CISA exam. The tips on how you can plan your study, how to use practice questions, how to manage your time during exam, and the strategies to use in tackling exam questions will come in handy for you. This CISA exam prep guide takes you step by step and in detail through the recommended CISA exam topics. It is written by Michael Gregg, the founder of Superior Solutions, a firm that deals in information systems security auditing and consulting. Included in this book is a comprehensive coverage of exam topics, practice questions and tips to guide you as you prepare to pass your exam. The evaluation of CISA exam topics in this guide makes it possible for any learner to understand the facts and objectives better. The other plus for this book is the inclusion of practice questions with answers. These questions cover IT auditing and give an insight into the kind of questions to expect in the exam. 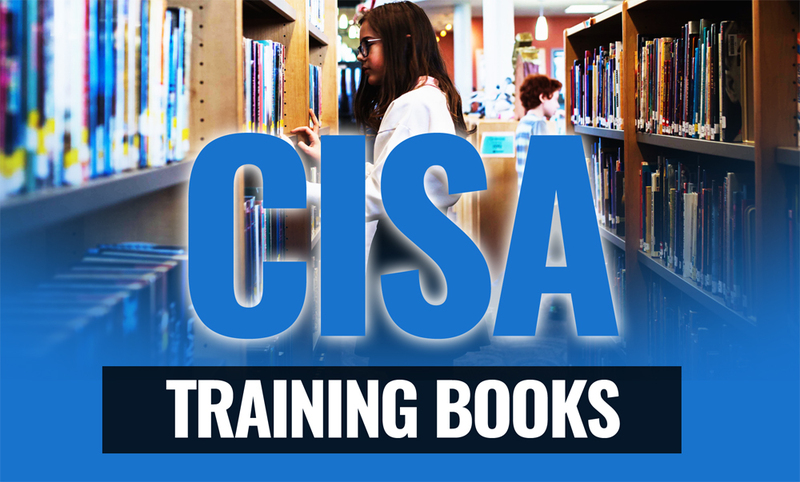 This list of CISA exam training books and materials would be useful in passing your exam. However, any prep process requires that you understand the exam objectives well and commit yourself to thorough study. Ensure that you apply the tips and techniques suggested in these books all the way from preparation to when you are sitting for your exam. This way, passing your exam and obtaining your certification would be guaranteed. If you’re looking for a more comprehensive approach check out our post on the best CISA review courses here.